To encourage pupils to rejoice in one other’s successes. You may like to make a medal, half bronze and half silver. Do you know the story of the hands and the tummy? Well, one day the hands got fed up with the tummy. While they had to do all the work picking up food, it was the tummy who got to enjoy all that yummy grub. ‘Why should we do all the work, while Tummy gets all the benefit?’ Hands said to each other. And so they decided to stop getting the food, picking up the food, cutting the food, and putting the food into Mouth. Of course, Tummy protested, but Hands were determined. You can imagine what happened. Tummy got hungrier and hungrier, and weaker and weaker, and smaller and smaller. But as Tummy got smaller, Hands found that they too were getting weaker and weaker, until one day, neither Tummy nor Hands could move at all. And by then it was too late. If only they had learned that they needed each other. There is a beautiful story of two Olympic athletes from Japan who knew exactly how to share with each other. 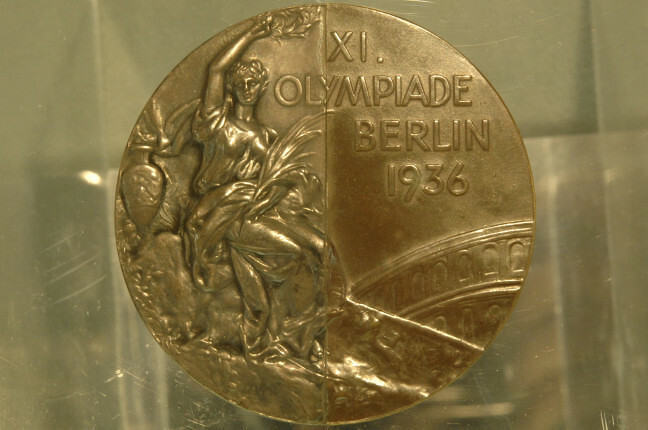 At the 1936 Berlin Games, Japanese pole vaulters Shuhei Nishida and Sueo Oe tied for second place. They were offered the opportunity to compete against each other for the silver medal, but because they were friends and respected each other so much they said they didn’t want to. 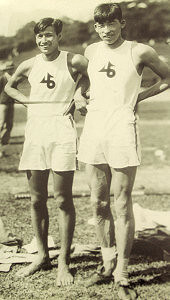 In order to keep the Olympic rules, Oe agreed to take the bronze medal while Nishida took the silver. When they returned to Japan, the other people in their team decided to do something different. A jeweller cut their two medals in half and put them back together, making two half-silver, half-bronze medals called ‘Medals of Friendship’. If only Tummy and Hands had learned to think like this! Who would you like to share a medal with? What would the medal be for? help me to be glad when other people succeed. Help me to share with others the things I do well.